The exam schedule of JEE Main April 2019 has been already released by the national testing agency (NTA). The exam will be conducted in fully computer based test mode at different centres located in different cities throughout the country and abroad from April 7 to 12, 2019 (excluding April 11). The JEE Main 2019 April exam is scheduled to be conducted in two shifts i.e., First Shift (9:30 AM to 12:30 PM) and Second Shift (2:30 PM to 5:30 PM). Appearing candidates can check their exact date and shift from their respective Admit Cards, which can be downloaded by logging into their account at jeemain.nic.in. Candidates should reach their respective exam centres at least 30 minutes before the reporting time. 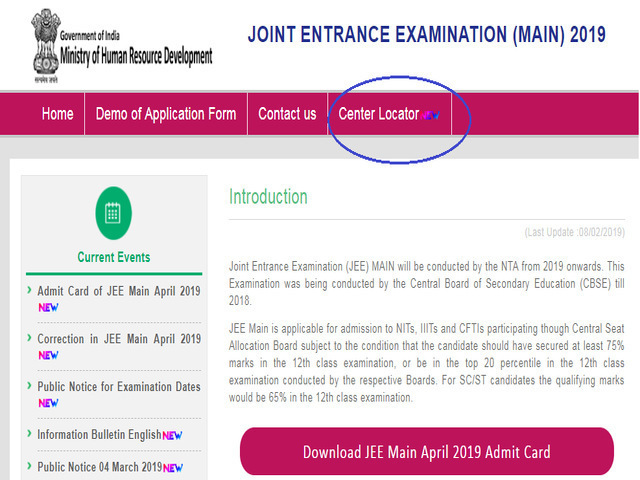 Candidates can take help from Centre Locator feature (available on jeemain.nic.in) to know the exact location of the exam centre. How to use Centre Locator tool? 1. Visit the official website i.e., jeemain.nic.in. 2. Click on the link ‘Centre Locator’. 3. 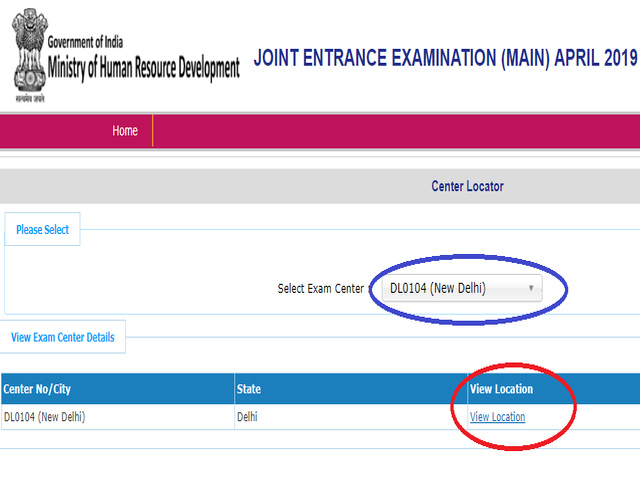 Select your exam centre through the dropdown list. 4. Click on the link “View Location”. To appear for JEE Main 2019, appearing candidates need to carry printout (preferably coloured hardcopy) of admit card.